Creative Nightscapes and Time-Lapses is your all-in-one guide to making spectacular, multi-image nightscapes and time-lapses. Covering everything from conceptualization and planning to post-processing, this book features innovative cookbook-style "recipes" for each composite nightscape and time-lapse project. Beginning with a review of the key fundamentals of astronomy and photography, author Mike Shaw covers the latest methods for planning your night shooting sessions and how to set up your gear to get the best constituent images. The book precisely details how to combine images into 12 different varieties of state-of-the-art nightscape trophies, each impossible to capture in a single image, before demonstrating how to create stunning level and ramp time-lapses that transition fluidly from day to night. Each nightscape and time-lapse project category includes specific tips for (i) acquiring the constituent images; (ii) assembling them into the composite image or time-lapse; (iii) overcoming common obstacles and (iv) finding the best subjects. 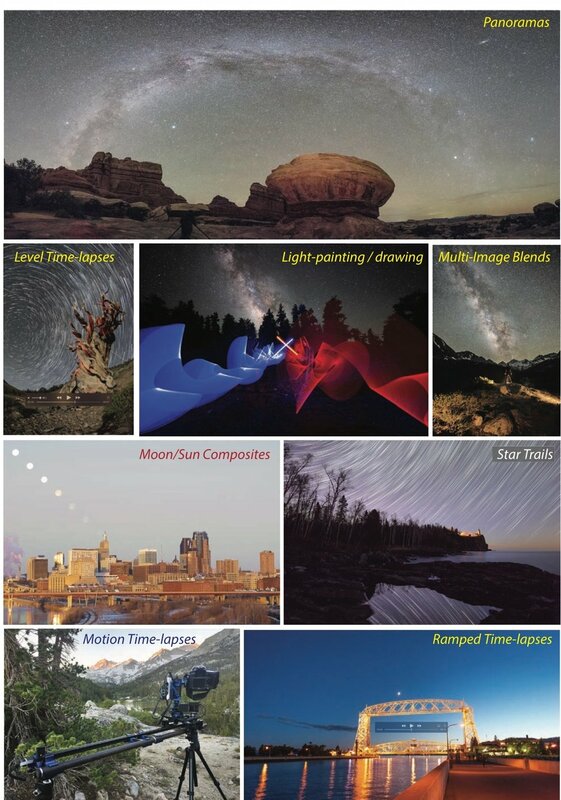 Providing examples of how to apply these techniques in the field through four detailed case studies, including one, three-night immersive retreat, this book is the comprehensive guide to creating creative nightscapes and time-lapses. "When the educational experiences of a physics professor are combined with knowledge of astronomy and excellent night photography skills, you come up with what Mike Shaw is delivering in his illuminating astrophotography learning books." "Mike has provided the most comprehensive guide to the subject in print. I highly recommend it!" Section I. What Are Creative Nightscapes and Time-Lapses?